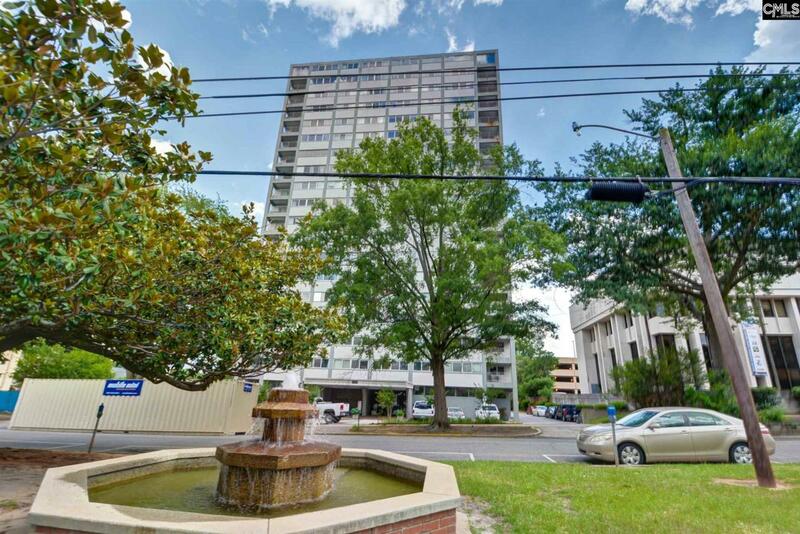 Looking for low maintenance living with the convenience of Downtown Columbia? Then come see this great 2 bed, 1.5 bath condo located in the heart of downtown just moments from USCs Campus and shopping and dining in Vista! Boasting: a formal foyer with a sizable storage closet; a spacious living area with access to the balcony; and a bright kitchen featuring stainless steel appliances, walk-in pantry, and plenty of cabinet space. The large master bedroom boasts his and her closets, and shares a full bathroom, and additional half bath with the second bedroom. Dont miss the great amenities that Senate Plaza offers including: 24-hour security, most utilities, covered parking garage with designated spots, community pool, workout facility, laundry facility, conference room, and extra storage units. Listing provided courtesy of The Art Of Real Estate Llc.